Everyone has to ride a ferry to Vashon. Save time by purchasing your tickets in advance! Nestled in the 'Heart of the Sound' with views of water or mountains at every corner, Vashon-Maury is truly an Island. It can only be reached by a breathtakingly beautiful ferry ride. There is something magical about being on an island. The pace is slower, the people are friendlier, the attitudes are relaxed and our patchwork of pastoral and natural settings make it a refreshing Northwest getaway. Vashon-Maury Island Chamber of Commerce welcomes you. With 45 miles of shoreline, Vashon-Maury Island boasts the majority of waterfront property in King County. The Island is approximately 13 miles long and eight miles at the widest point, with a year-round population of about 11,000. Whether you are looking for a quiet, romantic place to relax or activities for you and the entire family, Vashon has it all! Check out our 'Events' page to see what is happening now. Through our 'Business Directory' you can find interesting places to stay, quaint shops to visit, an eclectic mix of restaurants, local galleries, historical sites, musical concerts, places to hike, places to bike and places to enjoy outdoor activities. Could this be your heaven on earth? Ferry schedules are posted at www.wsdot.wa.gov/ferries. Ferry cams are available on several routes and docks, with more coming shortly. Please check on the status of current traffic conditions by clicking on this website: www.wsdot.wa.gov/ferries/cameras/. Please note: The ferry at Pier 50 (downtown Seattle) to Vashon is a commuter, foot ferry only with extremely limited service. It is run by King County, not by Washington State Ferries. Click here for schedule information: http://www.kingcounty.gov/transportation/kcdot/Marine/WaterTaxi/VashonIsland-DowntownSeattle.aspx. Seattle Metro Bus service on Vashon is available Monday through Saturday. Seattle Metro buses #118 and #119 connect to Vashon and continue service on Vashon. Please note that both buses only run Monday through Saturday. If you are planning a trip to Vashon on a Sunday, the RapidRide C Line runs seven days a week and stops at the Fauntleroy Ferry Terminal. (Remember that Vashon Town is five miles south of the north end ferry terminal.) Please check www.kingcounty.gov/tripplanner to confirm your bus route and times. Enter the route number in the search bar to view schedules. Click on Weekday or Saturday/Sunday to view current schedules. Pierce County Buses #10 and #11 arrive at Pt. Defiance Ferry Terminal (Tacoma) for the ferry to the Tahlequah dock (south end). Check connections and times at www.piercetransit.org Under "Plan Your Trip," enter your location and destination information. Kitsap County travelers will need to call Kitsap Transit at 1-360-373-2877 or 1-800-501-7433 for trip planning assistance. Kitsap Transit does not offer online trip planning yet. From I-5: Take exit 163 to the West Seattle Bridge, which will take you to the community of West Seattle onto Fauntleroy Way SW. Follow Fauntleroy Way SW to the end past Lincoln Park. Cars waiting to board may be lined up on the right side of the road next to the park. Take note of parked cars with people sitting in them. They are waiting in the boarding line. Park at the end of the line. Be careful not to cut in line, as this could result in you getting sent back to the end of the line. Be aware that parking or sitting inside the white crop lines could result in a traffic fine. Please note: To make sure you board the correct vessel, indicate to the dock worker by either raising two fingers in a “V” (peace sign), indicating a Vashon boarding lane, or verbally confirm Vashon. If you show three fingers you will be loaded onto the Southworth (Port Orchard) bound ferry. From I-5: Take exit 132 and proceed west on Hwy 16 approximately 35 miles to Hwy 160 exit. Take Hwy 160 (Sedgwick road) exit, turn right onto Hwy 160 at stop sign and proceed approximately seven miles to yet another stop sign. Turn right; the ferry dock is straight ahead. Parking is located to the right of the terminal. From Bremerton: Go east on Hwy 16 to the Sedgwick Road. (Hwy 160) exit. Turn left onto SE Sedgwick Road and proceed 7.3 miles to SE Southworth Drive. Turn right onto SE Southworth Drive and proceed to the toll booth. 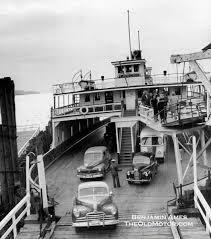 Please note: Vashon vehicles load five minutes prior to scheduled departure time. When line one to Vashon fills up, the vehicles in the second line to Vashon will have to back onto the boat. Car and driver tickets from Southworth to Vashon are collected at the Southworth dock. Passenger tickets are collected when you disembark at Vashon. From I-5: Take exit 132 (Hwy 16). Proceed west on Hwy 16 approximately three miles and exit on the 6th Avenue exit (signed Vashon ferry). Proceed straight through the first stop light. Turn right at the next stop light onto Hwy 163 (Pearl Street). Proceed north, approximately 3.5 miles, to the stop sign at the entrance to Pt. Defiance Park. Stay in the right lane and bear to the right. Do not enter the park. The auto toll plaza is one block on the right. The ferry terminal is located at the end of the street. Parking is to the left of the terminal. On the Tahlequah side, returning to Tacoma, please note these ferry etiquette tips: Be careful not to cut in line, as this could result in you getting sent back to the end of the line. Be aware that parking or sitting inside the white crop lines pose a traffic safety hazard. For those of you planning on boating to Vashon, note that there are 2 public marinas. Dockton Park on Maury Island has picnic facilities, public restrooms, shower facilities, a swimming area and a playground. Metro bus routes pass the park and will take you to Vashon Town for food and activities. Please refer to the link above for schedules. Quartermaster Marina is located in Burton’s inner Quartermaster Harbor. Please call in advance for space availability and to make reservations at 206-463-3624. Power, water, shower, and laundry facilities are all available here. The lovely Burton community has a small general store, Harbor Mercantile, an iconic coffee stand, a post office, an antique store barber shop and the renowned Bergamot Studio. Quartermaster Yacht Club is also located in Burton’s inner Quartermaster Harbor. You must have reciprocal membership from another yacht club to dock. First come, first served at guest dock. No reservations. Electricity is available for a small fee. Vashon has one public airport, Vashon Municipal Airport, which is located on Cove Road approximately two miles from the main town intersection. Commercial flights into this airport can be arranged through Vashon Island Air. For information contact www.island-air.com. Bob Therkelsen is the Airport Manager. He may be reached at 206-463-3142 or email at kbtherkelsen@comcast.net. Google "air nav 2s1" for more detailed information. Bikers are welcome on Vashon! Bikers are loaded with walk-on passengers prior to car loading on all Washington State Ferries. Metro buses on Vashon are all equipped with bike racks. Many businesses in town and around the Island offer bike racks or spaces for bike parking at their facilities. While Vashon has few bike lanes, many roads offer wide and comfortable shoulders. Please note many waterfront roads are unable to offer this accommodation. Bike safely and enjoy! Come and Enjoy All Our Island Has To Offer!